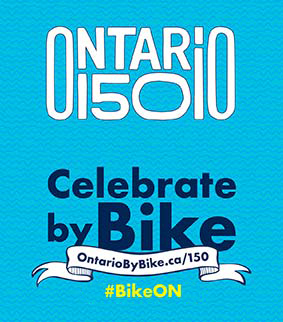 From the paved pathways through the city of North Bay and along its waterfront, to the quieter rural roads and trails that wind through dense forests, wetlands and the Canadian Shield; the region offers cyclists an array of experiences that are suitable for all styles and skill levels. The region features two designated Canadian Heritage Rivers; the Mattawa and French rivers, as well as the Ottawa River and Lake Nipissing. Cycling in the region frequently offers stunning water views; whether discovering the vast trail systems or the countless kilometres of roads. 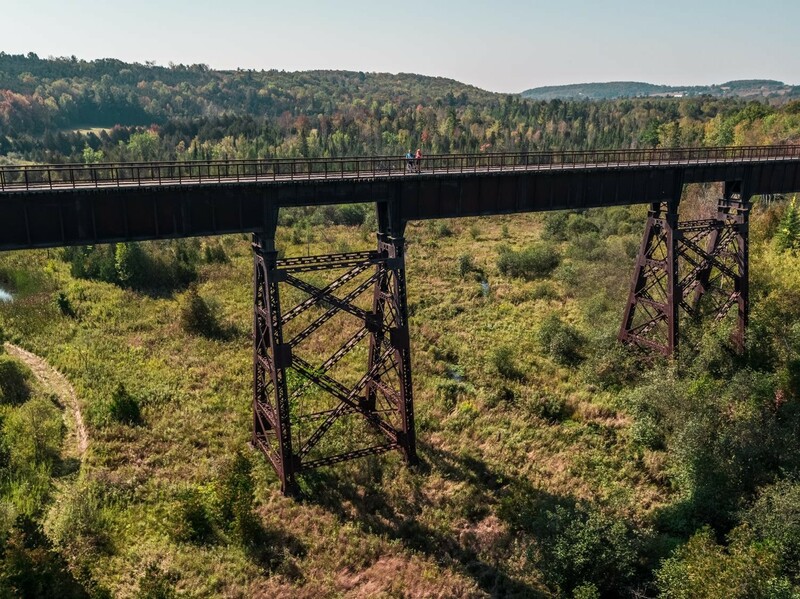 The trail and mountain biking options span the entire region from Mattawa to French River and give adventure seekers exactly what they are looking for. 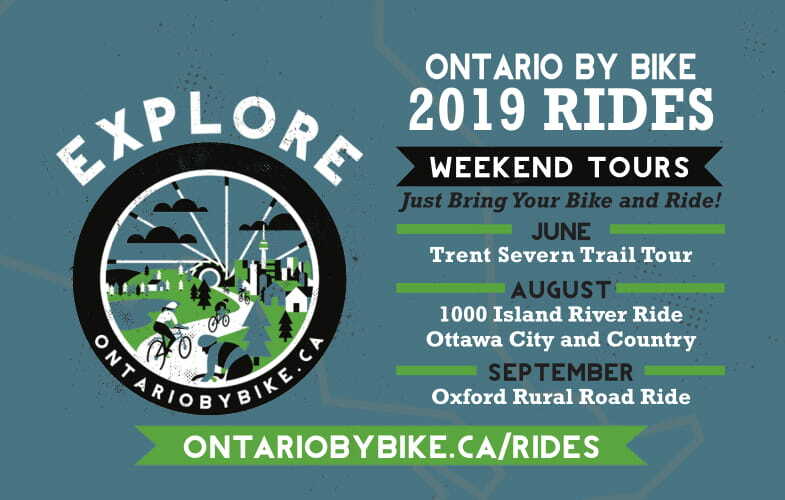 Whether it's the hundreds of kilometres of rugged cross-country trails that make up the Voyageur Multi-Use Trail System or riding on the Laurentian Escarpment in North Bay, these experiences will leave memorable impressions and inspire riders to explore more of the region. North Bay Bike Route (Road) – With a variety of hill climbs and descents, this route is popular with experienced riders. Starting at around 30km, cyclists can also extend the length with a variety of route alternatives and smaller loops on paved roads. Powassan Circle Route (Road) – This 100km route starts in North Bay and brings cyclists on paved roads through the communities of Callander, Powassan and Nipissing, before looping back into North Bay. Suitable for cyclists with road riding experience. Corbeil Circle Bicycle Route (Road) – At 38km, this route takes cyclists from the Kate Pace Way in North Bay to the community of Callander. Sections of both Hwy 17 and Hwy 94 have paved shoulders. Suitable for cyclists with road riding experience.View online for alternative route extensions (50km). Kate Pace Way (Paved Trail) – Approximately 12km in length, this paved pathway winds along North Bay's waterfront, as well as through residential and developed areas. As a multi-use trail, cyclists must be cautious and respectful of other users. Also part of the Trans Canada Trail. Callander Trail (Trail) – Nearly 10km in length, this trail begins in southwest Callander. Heading northeast, the trail ends at Pinecreek Road, south of the town of Callander. With a surface of compact soil/gravel, the trail is suitable for mountain bikes. Also part of the Trans Canada Trail. Laurier Woods Conservation Area (Trail) – The 6.5km trail network surface is compact soil and accessible to cyclists. The trails are multi-use, so cyclists should be cautious of other users. Cranberry Trail (Trail) – This 2.5km trail on gravel/compact soil begins at the end of Cranberry Road in Callander and brings cyclists to the edge of Callander Bay on Lake Nipissing. Scenic Highway 630 (Road) – This route is a 60km roundtrip, linear route that begins off Hwy 17 near the west boundary of Samuel de Champlain Provincial Park. Cyclists ride through mixed forests with lake and river views along a quiet paved road. Camping is available at the Kiosk Campground at the northern edge of Algonquin Provincial Park. Nature's Harmony Ecolodge Trails (Trail) – Located north of the town of Mattawa, there are 12km of backcountry trails located on and close to Nature's Harmony Ecolodge. Trail passes required for visitors not staying overnight. A trail map and money drop box is located at the parking area. French River Trail Association and System (Trail) – Built on crown land, this multi-use trail system has approximately 40km of rugged trails, suitable for mountain bikes. The trail system is used by both motorized and non-motorized users and cyclists should be cautious of other users of the trail. The map indicates secondary roads that are low volume, pleasant and offer road cyclists options in the French River area. Rainbow Routes Trail Network(Trail) – A network of community trails (for both hikers and cyclists) offering over 25km of cycling throughout the greater Sudbury area. These trails vary in length and surface type and present a variety of opportunities for cyclists to explore the city and area. Junction Creek Waterway Parkway(Trail) – Approximately 13km in length, this network incorporates a number of community trails and features natural and paved surfaces. The trail traverses the city from the northeast to the southwest and includes portions of the Trans Canada Trail. Part of the Rainbow Routes Trail Network. Killarney Provincial Park (Road & Trail) – Cycling in the park is permitted along several kms of park roads (paved and unpaved) and the Chikanishing Trail (natural surface). This trail (6km, 'out and back') winds along the park’s southern boundary and crosses a series of small ridges ending on the shores of Georgian Bay. Naughton Trail Centre (Sudbury) – This trail network features approximately 12km of single track trails that are maintained by the Walden Mountain Bike Club. The trails traverse rolling to moderately hilly terrain and through rock outcrops that are quintessential of Northern Ontario. Lake Laurentian Conservation Area (Sudbury) – Located on Conservation Sudbury land, this area features over 35km of trails, including trails suitable for more experienced riders. These trails connect to the Trans Canada Trail and a network of trails connecting back into the city of Sudbury. Kivi Park (Sudbury) – Located south of the city of Sudbury, this trail system is open in early June (or when dry) and close as early as Oct 15th. Voyageur Multi-Use Trails System (Bonfield-Mattawa) – Located on crown land between the Algonquin Highlands and the Laurentian Mountains, this 300km multi-use trail network is suitable for mountain bikers, yet caters to both motorized and non-motorized trail users. Users must purchase trail pass in advance. Laurentian Escarpment Conservation Area (North Bay) – Ranging in legnth forom 2km to nearly 6.5km, this trail attracts a variety of users including mountain bikers. The trails are owned by and operated by the North Bay-Mattawa Conservation Authority. Restoule Provincial Park (Northern Parry Sound District) - Angel Point Trail, rated as 'easy' is designed as a figure-8 loop. Gibs Trail (5km one way to park boundary) is rated 'moderate to difficult' and is a linear trail that eventually leads off park land. The park has a number of bicycles for rent ($5/hour or $20.day). Ask park staff about special rules that apply to bicycle riders. 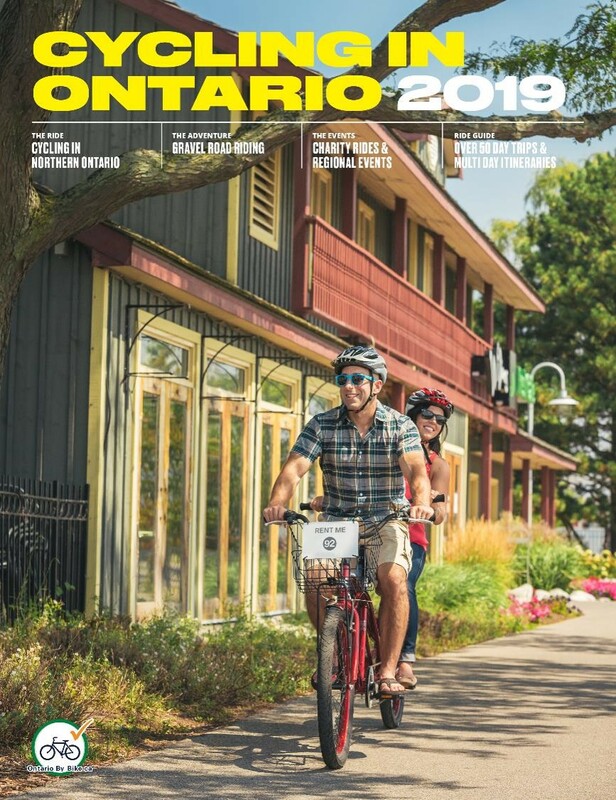 Great Lakes Waterfront Trail – Also referred to as the Lake Huron North Channel Cycling Route, this 380km northern addition to the Great Lakes Waterfront Trail, part of the Trans Canada Trail launched in 2017. Am epic touring route crossing over countless waterways and through quaint rural towns and First Nations communities in Northern Ontario between Sault Ste. Marie and Sudbury. Signage will be installed & maps available summer 2017. Work to pave shoulders on HWY 17 between Iron Bridge and Blind River (23km) for the Trail will be on-going throughout summer 2017 and may continue until spring 2018. Voyageur Cycling Route - (Route not officially opened) In 2015 a feasibility study and implementation plan was completed to examine the viability and options to develop a 400km regional route in Northern Ontario. The route aims to connect Ottawa Valley to Sudbury District and will follow the alignment of the Trans Canada Trail west of North Bay. Signage installation begins on the northeast section of the route in 2017. Old Nipissing Road Trail - Also known as "The Ontario Ghost Trail", this 86km stretch of the Trans Canada Trail runs north/south through the centre of the Parry Sound District between Highways 69 and 11. Accessed from a number of cross-highway intersections, this trail has limited services. Proper planning is advised. Trail surface includes gravel trails and paved roads, and is most suited for mountain bikes. Discovery Routes Trails Map (currently Out of Stock) - This regional map includes information on the Trans Canada Trail, road routes and non- motorized trails, as well as locating trail information kiosks for the communities of West Nipissing, North Bay, Mattawa Voyageur County and Almaguin Highlands. Other local maps are available in lieu of regional map. 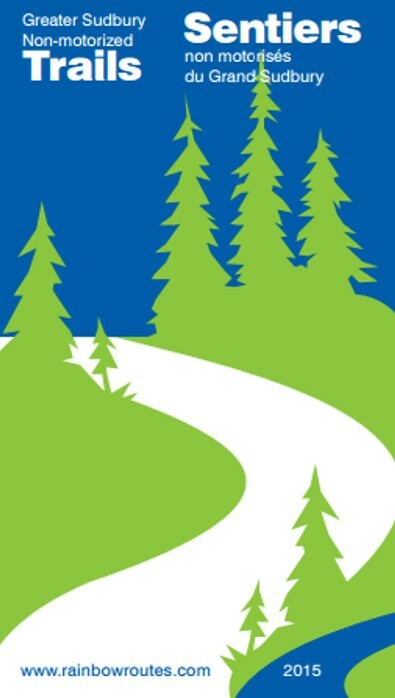 Trail Guide to Healthy Living - Available in print format for $10, this trail guide has a comprehensive collection of managed multi-use and publicly accessible trails of the Greater Nipissing and Near North regions of Ontario. Mattawa Voyageur County Tourism Map - Print or Online PDF Map. Detailed map that includes proposed road tours, multi-use and non-motorized trails. Available to pick up at Mattawa Visitor Information Centre or download. North Bay Trails and Pathways Map – Online PDF Map. This map highlights 12km of trails in the city of North Bay varying in difficulty. Sudbury Online Bike Parking Map. - Online map of bike parking in the city of Sudbury.